The Wooden Sky are raring to go. It’s part childish giddiness, but it’s also part cabin fever. The band kicked off a North American tour this past Friday, four days before the official release of the “new stuff”—their third full-length, Every Child a Daughter, Every Moon a Sun. The Toronto-based quartet, with their harmonious, down-home, country-tinged sound, have the uncanny ability to bring something alluringly different to the table every time. Their easy-listening folk sound has gained a following thanks to reflections on rural and urban life, happiness and regret, and Gardiner—singer/songwriter and guitarist—sounded as eager as a fan about the latest effort. “It feels really strange to release a record,” he said on the phone a few days before the band set out on tour. “Excitement, stress, relief. It’s a really long process; we started this record in July. Right when you finish, you want everyone to hear it. 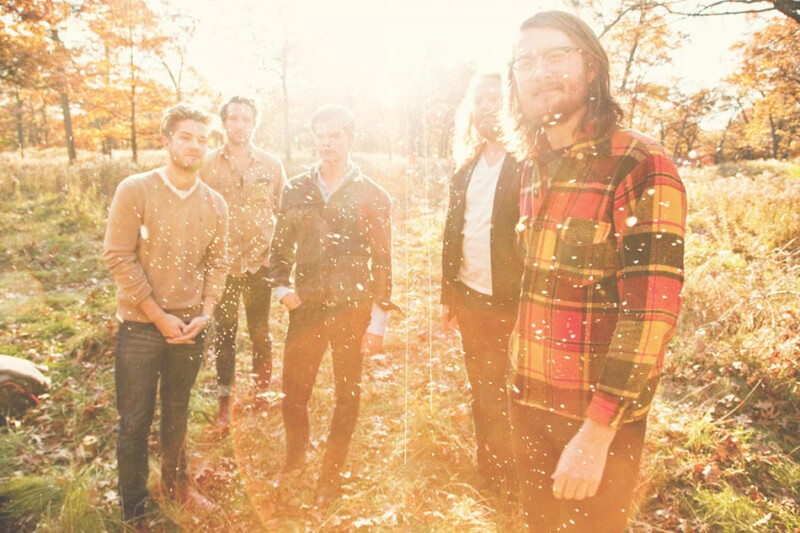 Comprised of Gardiner, Andrew Wyatt, Simon Walker and Andrew Kekewich, The Wooden Sky was initially created as a bedroom project. Since then, the band has grown both in size and in sound, starting with their first album in 2007, and continuing through their next two albums, several EPs and countless tours. Every Child a Daughter, Every Moon a Sun first came to being in a cottage outside of Toronto and they finished the process in Montreal at the famed Hotel2Tango recording studio. “Every song and every album is different,” said Gardiner of the creation process. “We rented a cottage at Dyer’s Bay, four or five hours north of Toronto. We all went up there and worked together on songs, some we had played together, some we hadn’t. There were also songs that we worked on together in smaller groups, or got together in the practice space to make demos. “You try to chase down that song that you have in your head. Some songs just need that raw energy. You can’t achieve that with a laptop in your bedroom.” The band ended up with a large number of songs that they eventually cut down to 13 for the album. The decision to record the album in Montreal stemmed from a need to step away from their day-to-day. “It’s really important for us to be away from our lives for a bit while we’re working,” said Gardiner. “It helps to isolate yourself […] in the recording process. For their 2009 Bedrooms and Backstreets tour, the band embarked on an unconventional journey—playing shows on rooftops, in backyards and in living rooms. On this tour, they’re taking part in a contest that will see them playing several house shows along the way. For Gardiner, there’s something much more personal about playing shows in these alternative venues. The Wooden Sky with The Great Bloomers and Charlotte Cornfield / March 5 / Sala Rossa (4848 St. Laurent Blvd.) / $13.00 advance, $15.00 at the door.